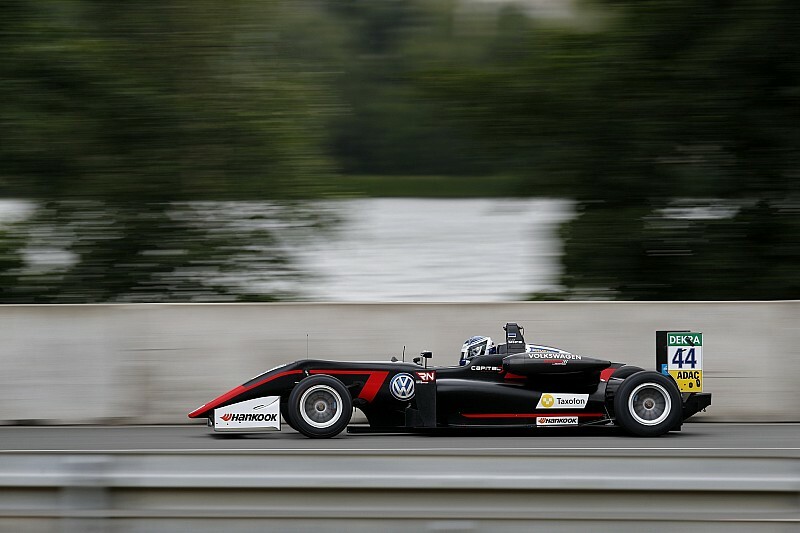 Reigning German Formula 4 champion Juri Vips took his first European Formula 3 victory at the Norisring in a race red-flagged and restarted following a massive startline shunt. 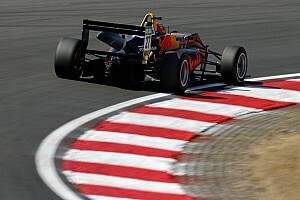 Dan Ticktum, starting from sixth, appeared to stall on the line, and everyone missed him until 21st-place starter Ameya Vaidyanathan ploughed almost straight into the back of the Motopark Dallara. 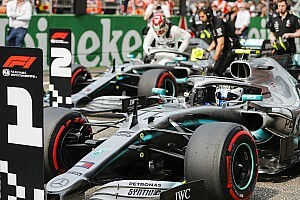 The impact pushed Ticktum’s car into the barrier, while Vaidyanathan came to rest in the pitlane exit, both drivers thankfully emerging under their own steam. Poleman Robert Shwartzman came under pressure into the Turn 1 hairpin from fellow front-row man Enaam Ahmed. Shwartzman ran wide, and as he exited the corner still alongside Ahmed there was slight contact between the two, the Russian brushing the wall and pulling off further up the road. 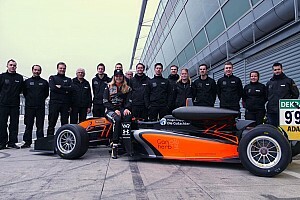 Ahmed’s Hitech GP car therefore led the Prema Powerteam machine of Marcus Armstrong and the Motopark entry of Vips at the restart, and Vips wasted no time in cleanly passing his 2017 F4 title rival Armstrong – who was using old tyres in this race – into the Turn 1 hairpin. Two laps later, Ahmed ran wide at Turn 1 and was forced to defend from Vips over the rest of the circuit. Vips got a great exit from the Dutzendteich hairpin, drawing to the outside of Ahmed down the start-finish straight – the two brushed wheels but Vips was ahead before they reached the braking zone. Estonian Vips soon extended a one-second margin, and that drew out to two seconds as the race entered its closing stages, with Armstrong similarly unable to trouble Ahmed. Keyvan Andres Soori did a sterling defensive job in fourth place following his eye-opening qualifying performance, managing to prevent Carlin driver Ferdinand Habsburg from passing his Van Amersfoort Racing machine. Habsburg had two lunges to the outside at the Turn 1 hairpin, and the second of these cost him enough time for Alex Palou to nick fifth place in his Hitech GP car on the exit. Palou and Habsburg closed back up on Andres Soori, but the positions didn’t change. Jehan Daruvala was unlucky to be right behind Ticktum on the grid, so lost time swerving to avoid him, but he finally managed to get his Carlin car ahead of Motopark’s Marino Sato at Turn 1 with two laps to go. 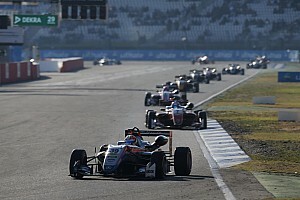 Two more Carlin drivers, Nikita Troitskiy and Sacha Fenestraz, spent most of the race in tandem in the final two points positions, before Fenestraz slipped ahead at Turn 1 with four laps remaining. Troitskiy then lost out to the chasing bunch, with Prema’s Mick Schumacher recovering from 20th on the grid to claim the final point. UPDATE: Ahmed has been stripped of his second place for causing the first-lap collision that eliminated poleman Shwartzman, and the penalty has cost him the championship lead. 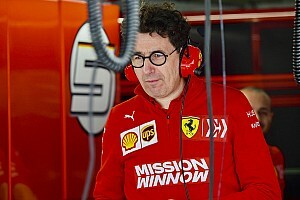 He has had 20 seconds added to his race time, dropping him down to 15th. Armstrong inherits second place and now leads the championship by three points, while Andres Soori moves up to the final spot on the podium.